Whether you’re taken yourself or single by choice, it’s nice to see LGBT couples exemplify true love in our community. We round-up 7 prominent couples in our community that make being in love look real wonderful and real good. In other words, these couples give us relationship goals. Trans activist and author Janet Mock married her longtime beau Aaron Tredwell in November of 2016. She candidly opened up about their relationship and wedding, penning an essay for Brides.com. We’ve seen this couple IRL, and they are just as cute in person as they are in photographs. 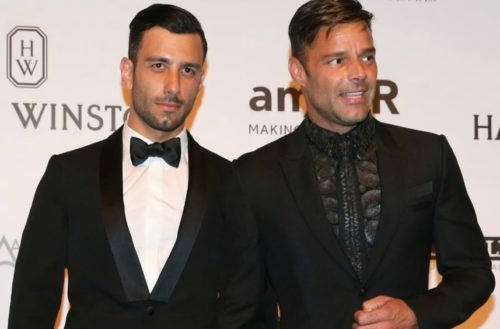 We’re big fans of Ricky Martin’s hot-assed fiancé, Jwan Yosef. He’s handsome, an artist, has a quirky sense of humor and looks great naked. On Andy Cohen’s Sirius XM radio show, Martin revealed that he met Yosef via Instagram. Martin says they’ve been dating for more than one year. Martin proposed and while they don’t have a wedding date yet, Martin would like a huge three-day wedding. Last year, 38-year-old Mean Girls and Looking star Daniel Franzese got engaged to his boyfriend of over a year, Joseph Bradley Phillips. Franzese popped the question in the Starbucks where they first met by handing the barista the engagement ring and having them call out “Mr. and Mr. Franzese” while handing the couple their coffees. At this year’s Time 100 Gala, RuPaul and husband Georges LeBar stepped onto the red carpet for the first time as a married couple and looked absolutely fierce doing it. Ru has always kept their relationship private, and he’s rarely seen in public with LeBar, who is a rancher based in Wyoming. Rumors were swirling for a while about models Laith Ashley and Arisce Wanzer being together. The pair released a steamy video called Private Affair, where they just can’t seem to keep their hands off each other. The two met last year on the set of Whoopi Goldberg’s reality TV show Strut, a series following the professional lives of a group of transgender models at the first-ever all trans modeling agency. Both are outspoken members of our community, and we think their relationship will only strengthen their commitment to speaking up about the injustices that effect our trans sisters and brothers. Melton, the 41-year-old author of the New York Times best seller, Love Warrior, announced the good news via social media after re-sharing her partner’s photo of the two exchanging a kiss on their wedding day Sunday. When I fell in love with Abby, I was scared. I thought that my fear might be bigger than my courage, and that because of that size difference, I might miss out on my chance at happiness. This was so painful. One day, I was talking to my dear friend Martha Beck. I told her that losing this love would be painful, but that I was used to learning from pain. And Martha said: “Honey. It’s true that God teaches us through pain. But it is also true that God tries to teach us through joy first. You can keep choosing heartbreak and pain, Glennon. But you can also choose joy. God can use that choice too. And I actually believe that God prefers to use joy to teach us.” And so, for once, I chose joy. I have lived a long while learning from pain and God, it’s been a good teacher. I’m forty one, now. And I’m graduating to joy. I choose joy. You can, too. First the pain. Then the rising. Your courage is bigger than your fear. 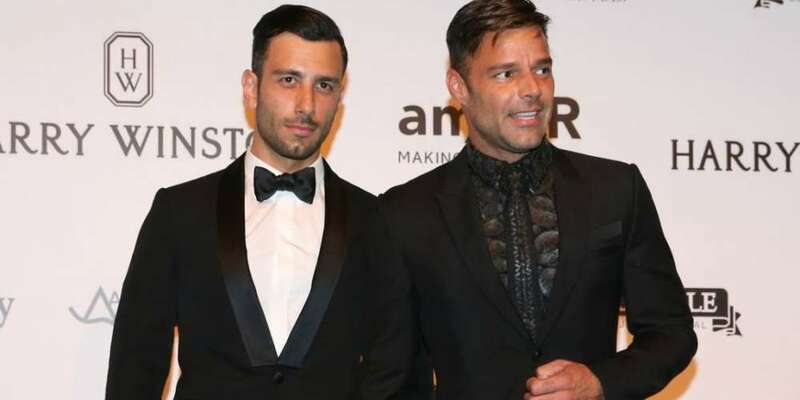 Nate Berkus and his husband Jeremiah Brent invited viewers on their journey this past spring as they helped other families find their own design paradise. In their new show for TLC, Nate & Jeremiah By Design, the husbands reinvented disastrous spaces for families who found themselves trapped by “money pit” renovations. Not only does the show follow Brent and Berkus as they help others, it also gives viewers a peek into their own personal family life and their new Los Angeles home.